If 2017 was a good year for law firms, 2018 was better. On the heels of a year considered to be the strongest for the Am Law 100 since the Great Recession, the nation’s top law firms took their performance a step further. On aggregate, revenue grew at a muscular 8 percent clip over the last year, hitting a record $98.7 billion. That’s well past the 5.5 percent growth rate from 2017, the previous high-water mark in the post-recession new normal. See this review article and here’s the link to the 2019 Am Law 100 (Available exclusively through Legal Compass). The RSF Index, which evaluates the state of journalism in 180 countries and territories every year shows that an intense climate of fear has been triggered — one that is prejudicial to a safe reporting environment. The hostility towards journalists expressed by political leaders in many countries has incited increasingly serious and frequent acts of violence that have fuelled an unprecedented level of fear and danger for journalists. Norway is ranked first in the 2019 Index for the third year running while Finland (up two places) has taken second place from the Netherlands (down one at 4th), where two reporters who cover organized crime have had to live under permanent police protection. An increase in cyber-harassment caused Sweden (third) to lose one place. In Africa, the rankings of Ethiopia (up 40 at 110th) and Gambia (up 30 at 92nd) have significantly improved from last year’s Index. Overall views of tax law little changed; fewer Republicans ‘strongly approve’ The survey by Pew Research Center, conducted March 20-25 among 1,503 adults, finds that more than a year after the new tax law was enacted, public approval remains relatively unchanged (36% approve of the tax law, while 49% disapprove). However, fewer Republicans strongly approve of the law than did so in January 2018. Paywalled here. See also Staci Zaretsky’s analysis on Above the Law. A new 25-nation Pew Research Center survey finds that Trump’s international image remains poor, while ratings for the United States are much lower than during Barack Obama’s presidency. You can use this tool to explore how individual countries view the U.S. and its president, and how these views have changed over time. US News & World Report has announced that it is creating a new ranking, separate from the overall Best Law Schools, that measures faculty productivity and impact. The intent is to analyze each law school’s scholarly impact based on a number of accepted indicators that measure its faculty’s productivity and impact using citations, publications and other bibliometric measures. U.S. News is collaborating with William S. Hein & Co. Inc. to complete this analysis. For reactions to this change by law professors, see the links in this post. In its sixth presidential ranking since 1982, 157 scholars surveyed by the Siena College Research Institute ranked Trump the third worst president of all time after Andrew Johnson (who was impeached) and James Buchanan (whose presidency was followed by the Civil War). Respondents ranked each of 44 presidents on a scale of 1 (poor) to 5 (excellent) on each of twenty presidential attributes, abilities and accomplishments. Overall rankings were computed by assigning equal weight to each of those twenty categories. Trump ranked last for integrity, intelligence and overall ability. Details here. Is there a new ‘evil’ vendor in the law library community? In the history of law library-vendor relations, Thomson Reuters traditionally has been viewed as “the evil vendor” for its long history of nasty B2B relations with law libraries due to the company’s past aggressive duopolistic business practices. No longer in my opinion. 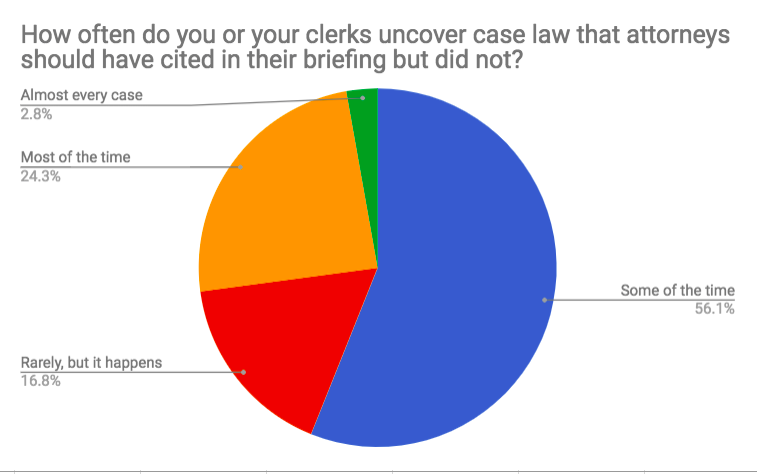 One clear impression I got from reading Feit Consulting’s 2019 Legal Information Vendor Market Survey Summary for Survey Respondents is that LexisNexis is the new evil vendor. It takes a lot to replace Thomson Reuters for this “honor.” Despite TR trying to gouge law libraries by attempting to charge as much as a 20% premium for Westlaw Edge and pricing Practical Law too high according to survey respondents, dissatisfaction with the functionality of LexisNexis’ search platform, pricing trends, and new tying tactics is so widespread and passionate among survey respondents that LexisNexis is clearly entrenched as our new evil vendor. the company’s new tying tactic leverages the popularity of its legal news products in an attempt to prop up Lexis Advance’s install base and revenue stream (And which appears to be backfiring according to the verbatim comments found in the Feit survey.). My bottom line: LexisNexis needs a turnaround specialist in its C suite. Dewey B Strategic Survey: What Did You Think About Legal Publishing and Tech Trends in 2018? On Dewey B Strategic, Jean O’Grady wants to know what you thought about 2018 legal publishing and tech trends for her new “Hits and Misses” survey. It only takes about 5 minutes to complete and it closes on Jan. 31st. Recommended. Michael Feit offers some tantalizing preliminary results from Feit Consulting’s 2019 Legal Information Vendor Market Survey. The survey found that 54% of Am Law 200 firms use either Lexis or Westlaw but not both. Firms that have gone sole search provider are more satisfied with the remaining vendor. In another post, Feit reveals how satisfied firms are with their vendors generally. 70% of firms are moderately/extremely satisfied with Westlaw. Wolters Kluwer scores a 55% moderately/extremely satisfied response, Lexis 32% and Bloomberg 20%. In view of the satisfaction ratings, the preliminary results for firms considering cancellation at the next contract renewal is not surprising. 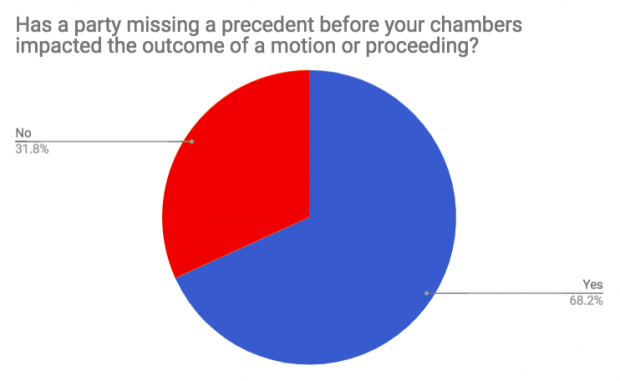 46% of firms are considering canceling Bloomberg, 33% of firms with Lexis, 14% of firms with Westlaw and 13% of firms with Wolters Kluwer are considering cancellation of those vendor contracts. As 2019 commences, it looks like Westlaw and Wolters Kluwer are market leaders in their respective search markets — general for Westlaw, and specialist market for Wolters Kluwer. I wonder how much Lexis and Bloomberg’s recent product tying changes have contributed to their dismal performance in Feit Consulting’s 2019 Legal Information Vendor Market Survey. A Tulane University study that found Republicans and Democrats weren’t persuaded to abandon false beliefs about election fraud after reading correct information from fact-checking organizations. What did work? Surprisingly, both sides were most persuaded when the factual information was believed to be from conservative news source Breitbart. ATL’s SCOTUS Power Index 2018 rates Supreme Court justices based on the career success of their former clerks with extra weight given for leadership positions in private practice, government and academia. Interesting take on employment outcomes based on SCOTUS training. A new Pew Research Center survey examines whether members of the public can recognize news as factual – something that’s capable of being proved or disproved by objective evidence – or as an opinion that reflects the beliefs and values of whoever expressed it. 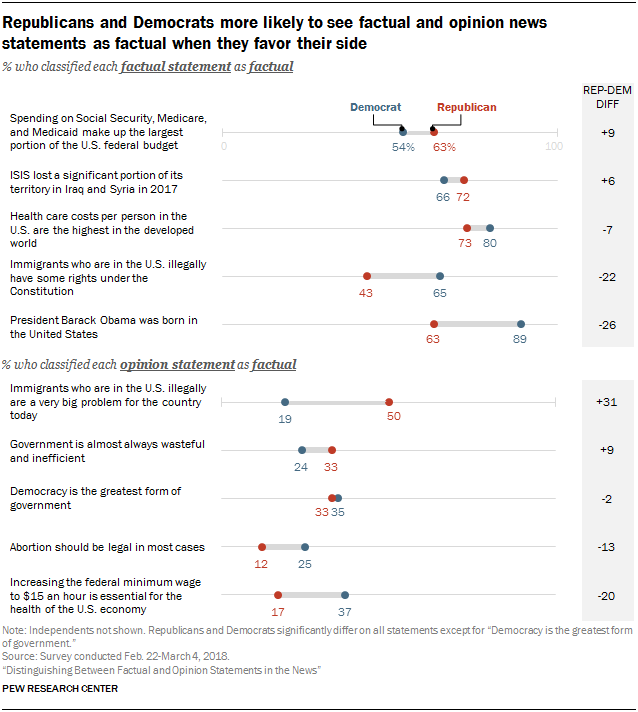 Survey results include the politically aware, digitally savvy and those more trusting of the news media fare better; Republicans and Democrats both influenced by political appeal of statements.